How to Improve Customer Satisfaction in SaaS? 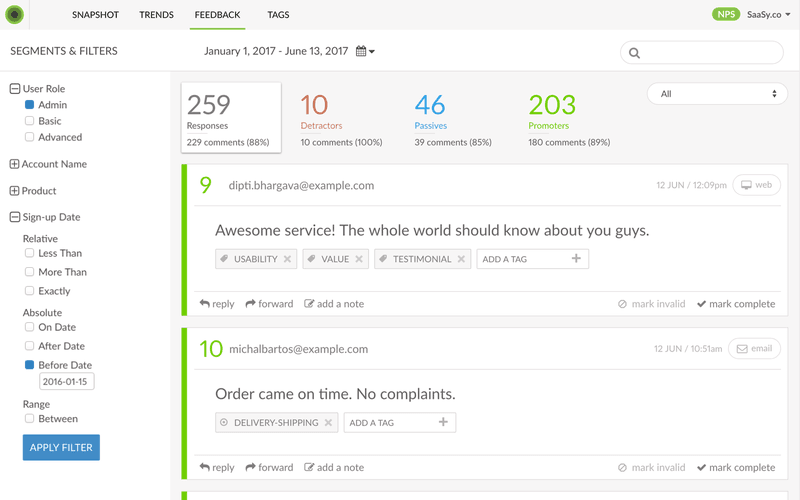 Customer satisfaction is an integral part of any reputable online business, not to mention the SaaS ones. Despite the popular misconception about customer satisfaction being pretty much the same thing as customer service, there’s a lot more to it than that when it comes to product-based businesses. You need to know how to improve customer satisfaction. As a matter of fact, customer satisfaction is versatile and complex, which is why you need to make sure that your users don’t run into any issues at any of its stages and have a smooth experience. 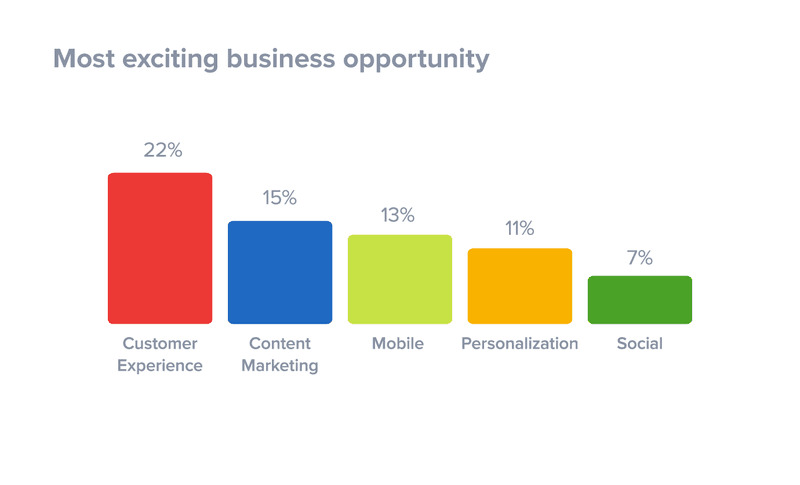 With that said, your main focus should be onboarding (activation) experience, customer adoption, and engagement (retention), as those are the key elements to improve customer satisfaction today. Many businesses online seem to overlook the importance of customer satisfaction. Or they simply don’t see it as something that deserves a thorough approach, a deliberate strategy. If you already offer a killer product and even know how to market it, your victory must be in the hat, right? 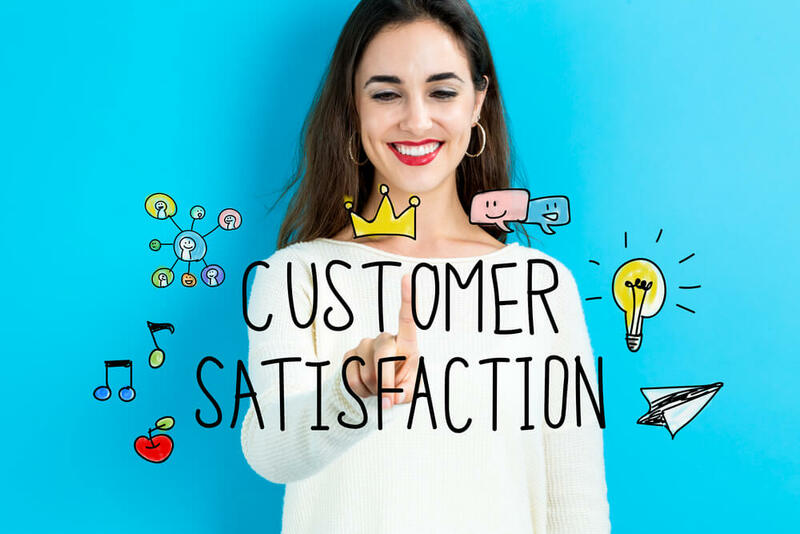 Even the definition of customer satisfaction (often referred to as CSAT) suggests that it is your customer base that measures whether your product or services really meet their expectations or not. So, customer satisfaction pretty much equals your success. Plus, sooner or later, you are going to be hit with the realization that your customers (potential or existing ones) are in essence different. I mean, after all, we are all people and all special, in a way. Despite the fact that they might have landed on your site because they need the same kind of service. And, a lot of times, if a customer feels the gap between what they want and what they get, they start looking for alternatives. Then, they leave. With that said, customer satisfaction is by no means a walk in the park, but, at the same time, it can be so rewarding and game-changing for your SaaS business. So what’s in it for you if your customers are happy? Obviously, to improve customer satisfaction, it is a multifaceted term that includes tons of win-win situations. Let’s not forget that each niche is different and demand can differ as well. Cost-efficiency. Generally, it’s simply cost-efficient, as you don’t have to spend more time and resources on acquiring customers. Maintaining the current user base is usually easier than gaining new leads. Loyalty. First of all, happy customers are very likely to stick to your site rather than switch to competitors. In general, the level of customer loyalty can say a lot about how well you care about your customers. Revenue. It stands to reason that not losing customers is great for income. But there is growing evidence that happy customers tend to make more purchases over time. Word-of-mouth. People gladly share their positive experience with their family, friends, etc. Which translates into more exposure for your business. Reduced price sensitivity. Satisfied customers are more willing to pay a higher price for the service they truly love. With that in mind, there will be fewer issues with the changes in pricing policy. All in all, high customer satisfaction will not only make your life easier but is also a strong contributing factor to the growth of your business. There is no shortage of helpful strategies when it comes to measuring customer happiness. The easiest route to go is to find out where you are failing. Which means you need to do research and figure out why people don’t want to have any business with you and choose your competitors over you. As a start, you can read negative feedback your clients leave, which includes reviews, forums, customer assistance feedback, etc. Try to get as much information on your weak points as you can. Then, you might want to get to know your SaaS competitors a little more closely. Are there any features or solutions that give them a leading edge over you? Study your field, this will help you understand where you are at the moment and how you can improve. And sure, it would be a crime to forget about surveys. This approach must owe its popularity to the fact that surveys are mostly easy to conduct and they are usually quite to the point. But prior to set out on a journey to high customer satisfaction, you need to make sure you have the right gear. Keep in mind that winning the heart of your customers can be a long and complicated process that requires a painstaking approach. Wootric is a top-notch solution used in more than 75 countries to improve customer happiness. 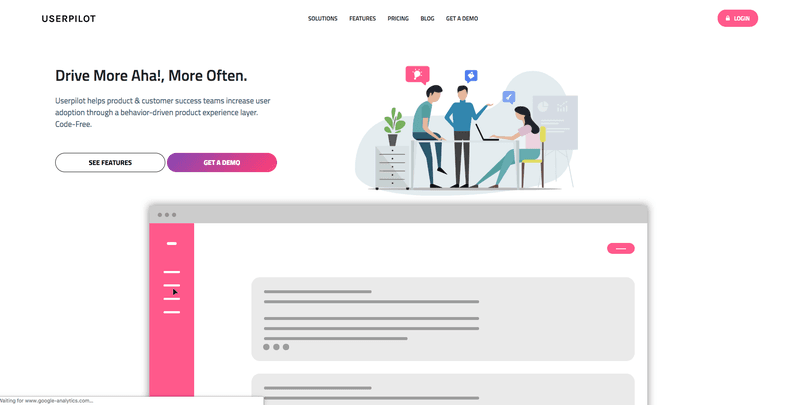 This tool gathers feedback about your business from various source via surveys, analyzes that data and helps you understand if your customers love you or not. They offer a full suite of customer experience metrics: Net Promoter Score (NPS), Customer Satisfaction (CSAT) and Customer Effort Score (CES). It basically gives a numerical answer to the question: How satisfied are my customers? Another powerful toolset you want to consider is Feedier. It allows you to create a custom bot with your logo, text, etc. that will gather feedback from your users. Feedier offers multiple survey types for you to choose from and those will be applied to each user differently depending on how satisfied they are. Last but not least, Churnzero is also a great option to go for. With real-time alerts, you can easily monitor how your customers are using your product right now. ChurnZero logs every activity, process it and gives you customer health score. On a scale from 0 to 100, where 0 is the ultimate satisfaction, you can see how probable it is that a certain user is going to churn. Now that you know if your customer satisfaction score is on the low side or not, it’s time to take matters into your own hands and start finally moving the needle. Focusing on these 3 pivotal aspects should facilitate a thriving atmosphere for your users. Customer onboarding. The first impression means a lot not only in interpersonal relationships but in the business world as well. How your users are treated when they make their first steps with your service is crucial. So you need to make sure your users are not overwhelmed and, what most importantly, not left alone. Help them to make sense of your interface and features with the help of onboarding messages, emails, video tutorials, hints, etc. Sometimes, question boxes and dialogue windows are a great way to walk users through. If you have time and resources, checkup calls or demos can take customer satisfaction to another level. One of the tools that are great for customer onboarding is Userpilot. It’s a cloud-based solution that helps product teams create a perfect customer journey. Userpilot can boast of fully customizable UI, support of behavior-triggered events, A/B testing, adaptation to design changes. Customer adoption. The whole idea of amazing customer adoption lies in ensuring that your customers use your services effectively and achieve their goals. You need to continuously ask yourself questions like: is my product important for my user? Can they go through their routine without my solution? How well do they know my product? Do my users still continue to adopt? Studying user behavior can be a great source of inspiration for both new features and learning material you can create to educate your user base. Otherwise, you might end up losing customers because they simply wouldn’t know or see how to apply your solutions to their problems. Customer retention. Customer retention can be described as a set of activities aimed to reduce the number of churned customers. This process starts when a relationship between a customer and a service provider is established and lasts till this relationship ends. As a matter of fact, customer retention is kind of a combination of customer onboarding and customer retention. But there’s certainly more to it. Highlight case studies. This way, if you can find out if there can be a match between the two of you. Be in touch with the customer. Keeping them in the loop of the progress will build trust. Get feedback. Always make sure you are delivering to the fullest potential. Ask your customers about what can be improved. Create a loyalty program. Reward the customers that have been a while with you. One way or the other, ongoing communication is one of the key elements of successful customer retention. If you want to get the most of it, you would need a solid tool to rely on. 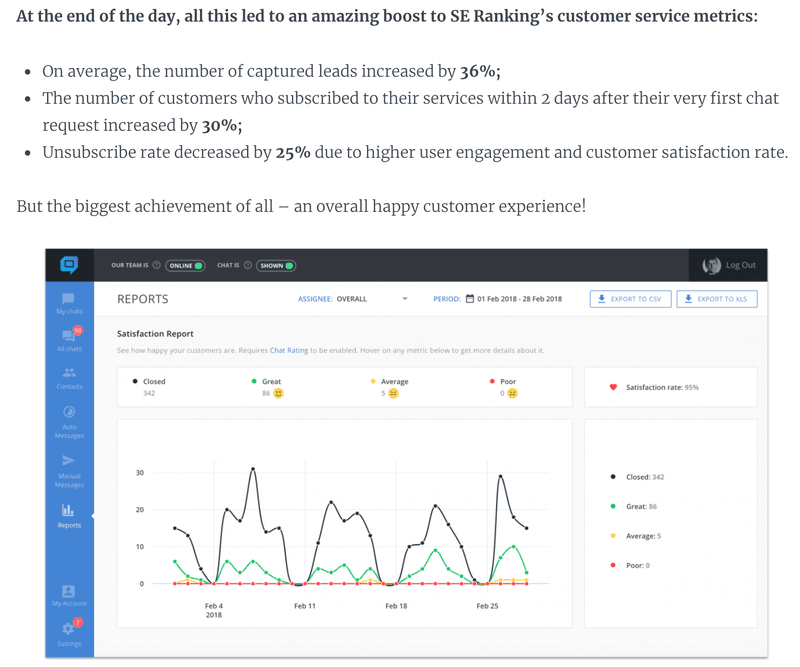 Track your customer retention and support performance, and much more. As the competition in the SaaS business is getting stiffer with time, the level of customer satisfaction becomes one of the fundamental factors of your success. You can no longer create a quality product and call it a day because customers can churn even at the earliest stage if they find it hard to navigate through your system or not sure where to begin. So to master the art of customer happiness, you need to have a clear vision of how you are going to effectively approach customer onboarding, customer adoption and, lastly, customer retention. Start with studying your customer base, learn about their problems and concerns, communicate and build strong relationships with them. Never stop educating and keep your users in the loop of whatever happens that affects them. This way, you will become a trustworthy companion on the way to their dreams and goals. 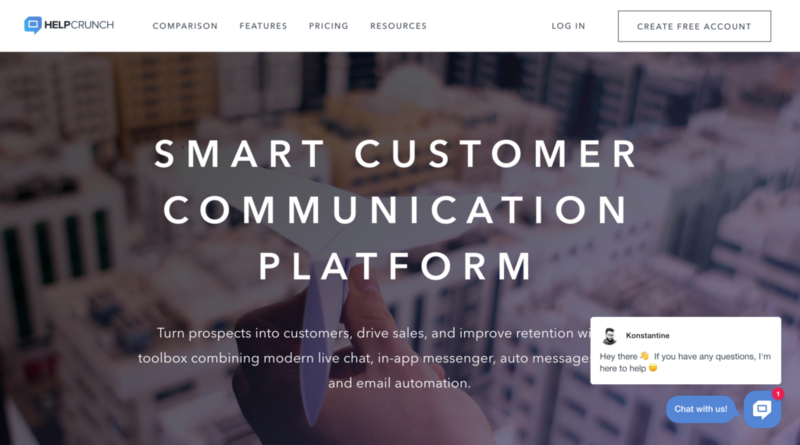 Daniil Kopilevych Growth Marketing Manager at HelpCrunch – A Customer Communication Platform. 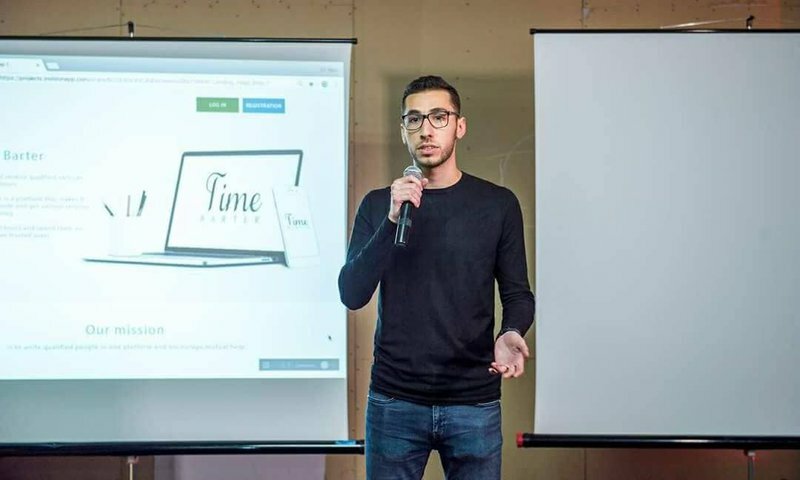 Daniil hopes that he is making the world a bit better by building and growing new products and helping others do the same.